Simply put, Boris Popov went from being an outstanding water polo player to an extraordinary coach whose teams dominated world water polo for over a decade. Due to his success as a coach for the Junior Team in USSR, he was selected to lead the USSR National Senior Team. There he lead the team to gold medals in the Olympics, European Championships, World Championships, and World Cup competitions. 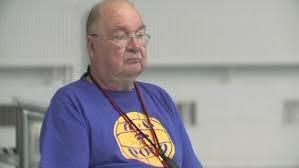 He remains active in water polo still to this day developing children’s water polo in the Leningrad region. Boris Popov will be inducted into the International Swimming Hall of Fame as a member of the Class of 2019 during the Honoree Induction ceremony in Fort Lauderdale, Florida, May 18, 2019. Come celebrate Boris and the other honorees at the ISHOF Induction dinner. Become an ISHOF Legacy Member and attend the ISHOF Induction Dinner for FREE. Can’t attend the event? Please consider making a donation to ISHOF to support Boris and our other inspirational honorees. Popov began his playing career in Moscow at about age 14, for “CSK” Moscow. He was part of the 1964 USSR Olympic Team when they won the bronze medal behind water polo powerhouses Yugoslavia and Hungary. He was also part of the team that won the gold at the 1966 European Championships. Popov played for “MGU” Moscow from 1960 through 1973, when they won the European Championship Cup. He then gave up his water polo career as a player and began coaching for Burevestnik, Moscow. He became Coach of the Junior Team, USSR, in 1974 and the boys brought home gold in 1975 and 1978 at the European Championships. The Soviet Olympic Team won the 1972 gold medal in Munich, but at the 1976 Montreal Olympic Games, the team placed a disappointing eighth. And for the next several years failed to reach the podium at all major international tournaments. 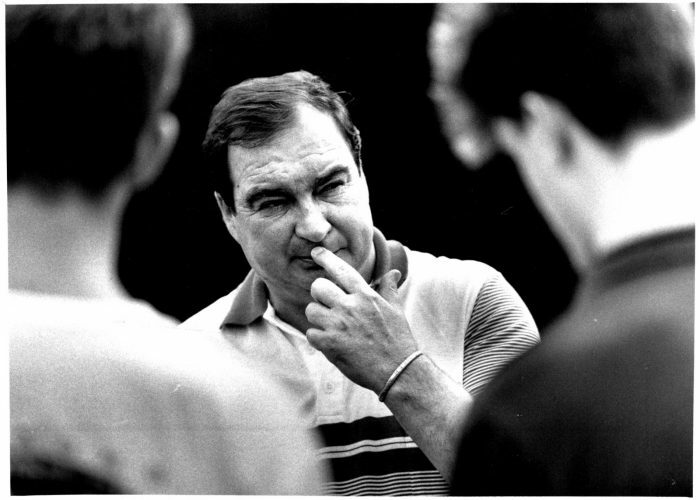 Popov’s success with the Junior Team was noticed and in 1979 he was selected to lead the U.S.S.R. National Senior Team. With the core of players he developed at the Junior level, like Hall of Famers, Evgeny Sharanov, and veterans Aleksei Barkalov and Aleksandr Kabanov, Popov led his team to the gold medal in their hometown of Moscow, at the 1980 Summer Olympics. 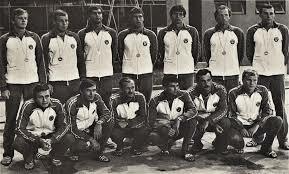 The Soviet team did not lose a game during the entire Olympic tournament at the 1980 Games. 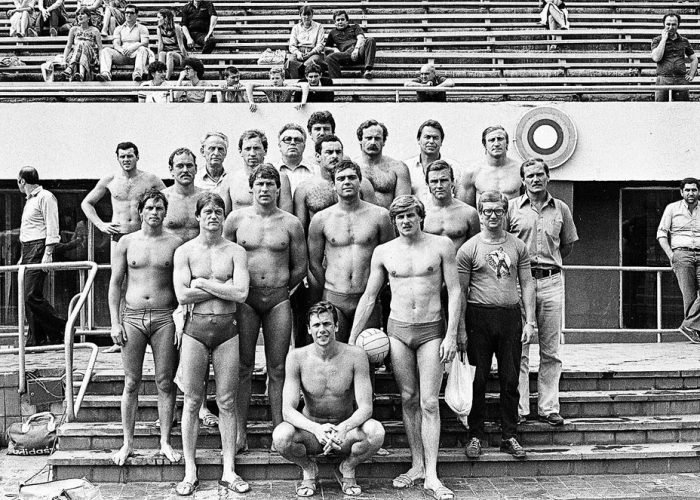 They went undefeated again at the II FINA World Cup in Long Beach, California in 1981. Won gold again at the 1982 FINA World Championship in Guayaquil and again at the 1983 FINA World Cup in Malibu, California. Unfortunately, the world never got to see what the Soviets could do at the Los Angeles Olympic Games due to the Soviet Block’s retaliatory boycott in 1984. However, after the 1984 Olympic Games concluded, the Soviets won the gold at a tournament in Havana, Cuba that featured the nations who boycotted the LA Games. 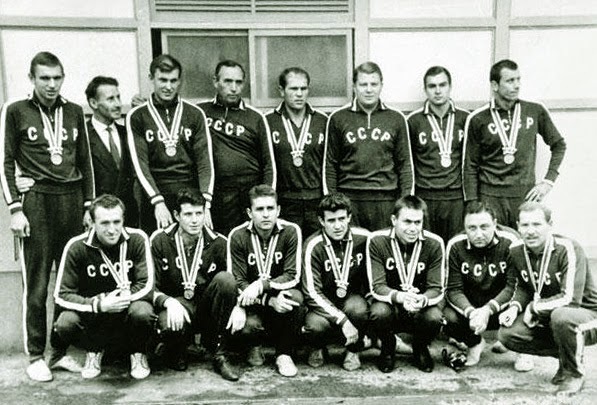 Because the Soviets, Hungarians and other nations had boycotted the LA Games, they were banned by FINA from the 1985 World Cup – but the Soviet success continued by winning the gold medal at the European Championships in 1985 and 1987, and at the 1988 Seoul Olympic Games, the team won bronze. After winning the 1989 European Championships, the team won bronze at the 1992 Olympic Games in Barcelona. In the years 1993 and 1994, Popov left Russia and went to Geece and his former player and assistant coach, Aleksandr Kabanov took over the team. But after the Russians finished a disappointing fifth in the 1996 Atlanta Games, Popov was back in charge of the Soviet team and directed with getting the team ready for Sydney 2000. 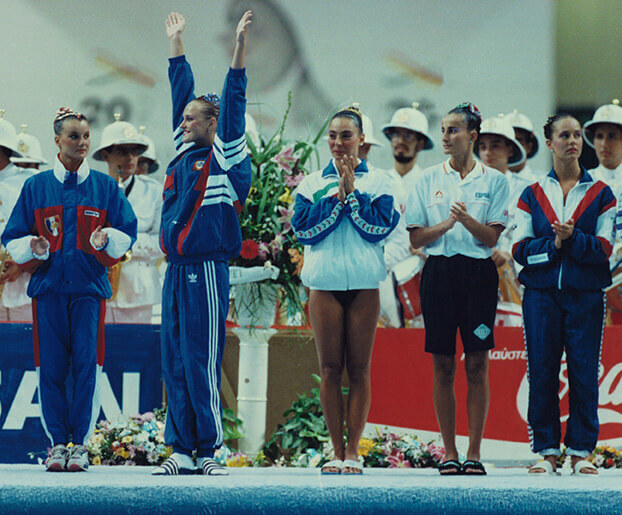 The team placed fourth in the 1999 FINA World Cup, in Sydney, Australia. After so much success, the failure to reach the podium in 1999 and 2000 was a major disappointment and the Russian Federation returned the reigns of the team once again to Kabanov. But with poor results, Popov was back in charge by 2006 until he retired in 2008. It must be said that after the break up of the Soviet Union, there was a great deal of social and economic problems that had a devastating effect on the fortunes of Russian water polo. They are just now recovering. Currently, Boris Popov is the Vice President of the Russian Water Polo Federation. He is living in the city of Kirishi and devoting his time to the development of children’s water polo in the Leningrad region. 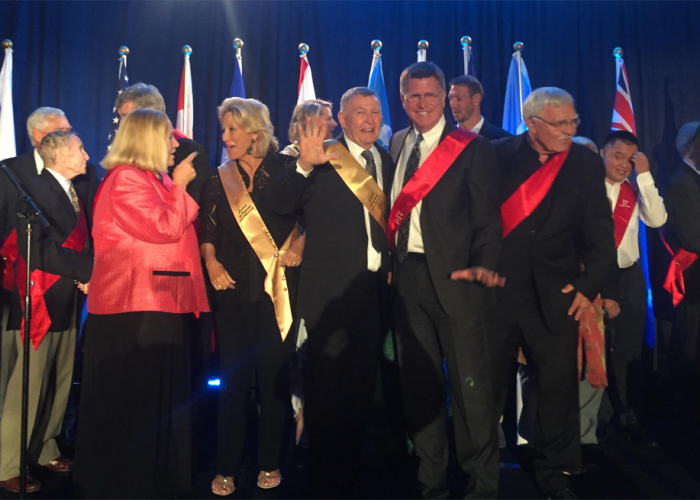 This year’s International Swimming Hall of Fame honorees include Swimmers: Jason Lezak (USA), Otylia Jedrzejczak (POL), Stephanie Rice (AUS), Britta Steffen (GER); Diver: Li Ting (CHN); Water Polo Player: Alessandro Campagna (ITA); Coach: Boris Popov (RUS); Synchronized Swimmer: Olga Sedakova (RUS); Open Water Swimmer: Marcy MacDonald (USA); Contributor: Dr. Ferenc Salamon(HUN); and Pioneer: Alfred Nakache* (FRA). ISHOF will also present the 2019 Gold Medallion Award to Dr. Joseph B. MacInnis (CAN). Olga Sedakova started synchronized swimming at just nine years old. Since the sport was still new to the Soviet Union, Olga and her coach developed training methods that combined swimming techniques along with famed Russian ballet and acrobatic methods. Through many years of hard work and dedication, Olga’s dreams came true…becoming World Champion in the solo, duet and team events at the 1998 World Championships. Olga Sedakova will be inducted into the International Swimming Hall of Fame as a member of the Class of 2019 during the Honoree Induction ceremony in Fort Lauderdale, Florida, May 18, 2019. Meet Olga in person and hear her inspirational life story at the ISHOF Induction dinner. Become an ISHOF Legacy Member and attend the ISHOF Induction Dinner for FREE. Can’t attend the event? Please consider making a donation to ISHOF to support Olga and our other inspirational honorees. The Soviet Union was late to enter synchronized swimming and its first swimmer to show up on the international scene was a girl named Olga Sedakova. Sedakova came from an educated family, her father was a neurologist and her mother, an engineer. When Sedakova was about nine years old, she and her twin sister came upon synchronized swimming by pure chance. Olga’s mother was working at one of the largest aquatic centers in Moscow and it was there that the girls discovered synchronized swimming. Early on, the girls trained with a very young coach, Elena Polianskaja. She was very ambitious, but because synchronized swimming was so new to the Soviet Union, she did not have much knowledge about the sport. It was clear that Olga was talented in the sport, but it took years until she began to fully develop her skills and shine on the podium. While Olga was in her mid-teens, Soviet women’s magazine, Journal Price, hosted an international competition event to celebrate International Women’s Day for Soviet women. Olga and her synchro teammates participated in this event. It was a great opportunity for the young synchronized swimmers not only to see other successful swimmers, but to learn from them as well. At this point in her training, Olga knew nothing about paddling techniques and regulations. She absorbed as much as she could at the competition by watching the other swimmers. Since Russia has always been so successful in the ballet and acrobatics, Olga and the other synchronized swimmers also developed their own training methods, based on Russian ballet and acrobats. Russian National Ballet, Swan Lake; Photo Courtesy: Columbia Artists Management Inc.
Then in 1988, things began to change. In 1988, at the Junior European Championships, the Russians won their first gold medal in synchronized swimming. Olga was soon called up to the (Senior) National Team to represent her country. It took two years as a member of the National Team, before she could take a lead role as a soloist and with a duet partner to compete internationally for Russia. In 1991 at the European Championships in Athens, Greece, Olga won her first gold medals, one in each of the three events, solo, duet with partner Anna Kozlova, and team. Next, she travelled to Perth, to the FINA World Championships, where she placed fourth in all three events. 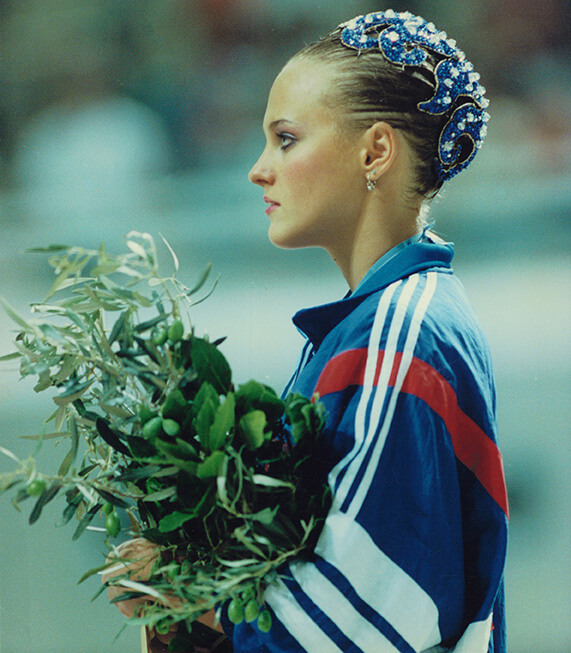 In 1992, Olga Sedakova competed in her first Olympic Games in Barcelona, Spain and placed fourth in both events, the solo and duet, which were the only synchro events offered at the Olympic Games at that time. After the Olympics, Sedakova decided to make a change and moved to Switzerland. She decided to begin using her partner’s coach, Svetlana Fursova, who was currently living and working in Zurich at the Limmat Nixen Club. All year round they trained splitting time between different three clubs. Part of the year they trained in the USA, in Santa Clara, California, with the famous, Aquamaids. Part of the year they trained in Zurichpart, and in spring, they went back to Russia and trained with the National Team. In 1993 at the FINA World Cup in Lausanne, Switzerland, Olga and her partner, Anna Kozlova, won the silver medal for their duet performance, while Olga took bronze for her solo performance. Then, in 1994, Olga won her first gold medal in the solo event at the Goodwill Games in St. Petersburg. Olga’s partner, Anna left for America and her coach, Svetlana left for Canada. After the success she had just found, she now found herself alone in Switzerland, without a partner, or a coach. Sedakova decided to coach at her club in Zurich, as well as train herself in her free time, with the help of Susie Morger, the Swiss Coach. Olga eventually went back to Russia to once again train with the National Team, so she could perform with them at the upcoming World Championships. They placed fourth and Olga also took fourth in the solo event. At the 1996 Olympic Games in Atlanta, the only synchronized swimming event was team, and the Russians took fourth behind the USA, Canada and Japan. In 1997, Olga went back to Russia to begin practicing with her new partner, ISHOF Honoree, Olga Brushnikina and the Russian team as well. Later that year in Guangzhou, China, Sedakova won the FINA World Cup gold medal in the solo and duet. The January of the following year, 1998, all her dreams came true and she achieved her long-awaited goal. Olga Sedakova became World Champion in the solo, duet and team events, at the FINA World Championships in Perth, Australia. With three gold medals at one World Championships, Sedakova was only the fourth person to sweep every event at a single championship. The other three athletes to do so were ISHOF Honorees, Teresa Anderson, in 1973 at the first World Aquatics Championships, Carolyn Waldo, in 1986 and Becky Dyroen-Lancerat the previous competition in 1974. Sedakova had reached the pinnacle of her career and accomplished everything she had set out to do. She retired and decided to take on a new challenge, coaching! Sedakova became the National and Olympic Team coach for the Swiss National Team. She took the Swiss team to the 2000 (Sydney) and 2004 (Athens) Olympic Games. She choreographed and swam in (along with Billy May) the big show production of Swan Lake and Sleeping Beauty in Switzerland. Now living in Zurich, Olga is married to a former Swiss boxing champion has three daughters. She stopped coaching synchronized swimming after her second daughter. She hopes one day to return to synchronized swimming, but today, her family in the most important thing.